The MSH 400 is a heavy duty, fully accessorized operator chair making it a smart and practical chair for any office workplace. Some of the features of this chair include a fully ergonomic three lever mechanism, tension control, seat slide, ratchet back, adjustable arms and a spider base. The chair is available in only black. 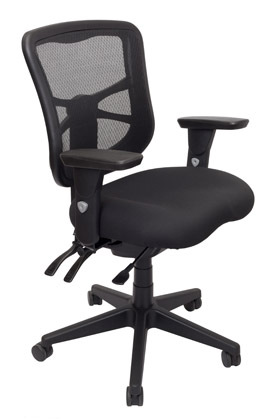 The MSH 400 chair is a reliable, stable chair with a 10 year warranty.